Going for a classic look at Prom and want to make sure you and your date match? This tuxedo is the perfect way to set yourselves apart from the crowd. This is a two-buttoned, single breasted jacket with a satin diamond lapel. Match your prom date with a vest and tie the same color as her prom dress! This tuxedo creates a modern and romantic look. 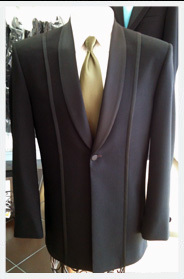 It is a one button tuxedo jacket with a satin shawl lapel. 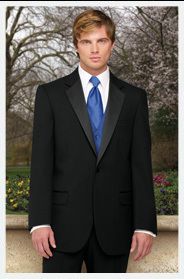 Make your prom night special and stand out amongst your friends with this fashionable tuxedo. This style works excellently with a deep V-neck vest and a bow-tie. 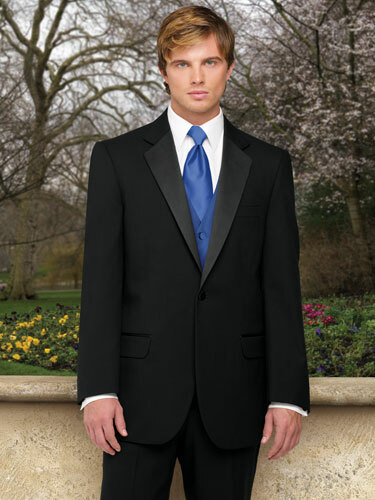 Dare to be sleek and different on your prom night with this fantastic tuxedo. This tuxedo features a single breasted shape with a high collar. It pairs well with a patterned vest and simple tie. This is a unique tuxedo style that looks handsome on all men. 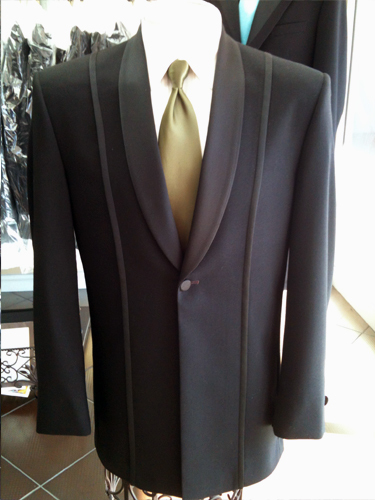 This handsome tuxedo jacket features a satin pin-stripe and a stain shell lapel. It goes well with a colorful or patterned tuxedo vest, bow tie, or neck tie.